I am sorry to hear of Qavi's death. He was a true friend of Palestine, and I owe much to him myself. 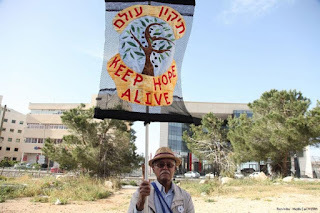 I met him through the Quakers that he attended in Blackheath and he was for a time my my mentor about Palestine, showing me things to read and organisations to visit, and assisting me during my second visit in early 2016. I am glad that he was able to die in a place he loved so much. I am not planning on traveling to Bethlehem, but would like to know if any commemorative event is planned in the UK. Ibrahim and I send our condolences. At least he was able to be in his beloved Palestine. Thank you for sending this.. He was a wonderful man. We would be glad to know if there are any celebrations of his life in London. I offer my best wishes and sympathies to your circle in the loss of Mohammed Abdul Qavi. Have a good day tomorrow and thereafter. While writing, I must tell you that I am in correspondence with my friend Monica Spooner of the Balfour movement. She and her husband were in our congregation in Edinburgh 1993-2004. She tells me that she has visited you in Bethlehem. I meet our Interfaith Forum this week, which may be enriched by a convert to Judaism! So sorry to hear of the passing of a great Peace Activist, Educator and Advocate for Human Rights, Mohammad Abdul Qavi. May he rest in eternal peace and may his bravery, commitment and love for equality and justice, inspire many to continue the battle for a safer, peaceful and equally prosperous and caring world. I am deeply saddened to hear the news of Mr Qavi. May his soul rest in peace. I have copied some of our common friends. Thank you for your message. I am very sorry to hear of the passing of Mohammad Qavi - he was a neighbor of mine when we lived at Blackheath in London and so I knew him reasonably well. He was a true humanitarian and right now this world is desperately in need of people like him. I am grateful that you communicated this news because it is unlikely that I would have known otherwise so thank you and I will say a prayer for hi. Is there anyone in Seattle I could get together with to commemorate his life? I believe we met Qavi at the Women's Union in 2016, when we were there on a CADFA women's visit. We were very glad to meet him and so sorry about this news. I would like to send my condolences. With great sadness we have read your message bearing the sad news of Qavi's death. It is a great loss for yours as well as our community in Blackeath/Greenwich. We have known Qavi since with my family we moved into the neighbourhood where he owned the Pine Furniture shop in the Blackheath village, 40 years ago. Having previously served some years in Pakistan we had a lot in common, and whenever in London from foreign postings we would see Qavi, sometimes as customers visiting his shop, but more often for an exchange of views on current political opinions. But it was when Qavi retired that he impressed most when he turned into a diligent political activist always ready to put his brave man's voice in the service of different good causes, Palestine to start with. It was in our local OUN organisation that he was prominent and engaged. Most Saturdays when here he would be an important resistence voice in the village, protesting against current injustices and holding his manifesto, sitting or standing in the most prominent place in the village. We all respected his important decision that he voiced when learning to be unwell. It was then that he sold his house here in order to move to Palestine for good. We shall miss him but also cherish the memory of the man who should be a shining model to many. He was a great man. May is soul rest in peace. It is really very sad to learn about the death of Qavi and I will miss him much during my next visit to Palestine. I remember when Jessie took care of his bed cover when he felt too much the cool night in the guest house. He was part of our nice and warm Beit Sahour family. Now I am longing for the time when I will see you all again hopefully this December 2017. So sorry for the loss of your friend! That is a cruel loss to bear! Still praying and spreading the word! I am so sorry to hear this devastating news. Qavi has a special place in my heart and I will miss him dearly. I am in the US and sorry to be missing the memorial. Qavi visited my office several years ago with his cane and simple clothing. I didn’t know much about him except that he was a peace lover and was visiting from London where he moved as a young man from India. 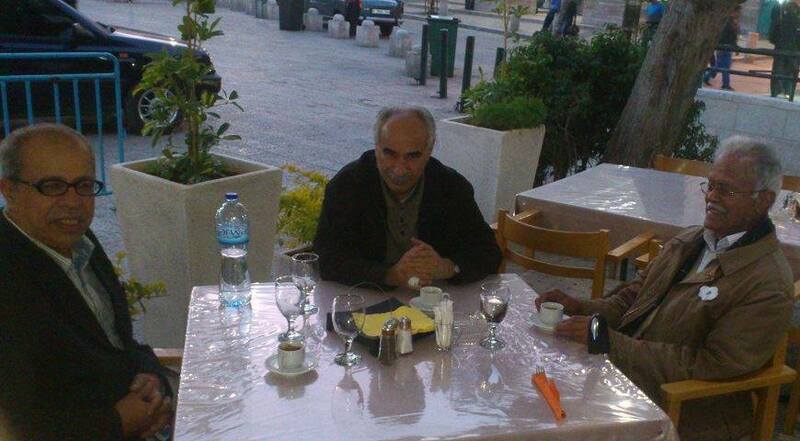 Qavi and I had a wonderful relationship and I saw him often especially at the Ramallah Monthly Meeting. Qavi endowed a scholarship at RFS (the SA’DAT BARI SCHOLARSHIP FUND) and the returns from his endowment are benefitting one of our students every year. Teary eyed, Qavi shared with me about his tough childhood and how his family circumstances made it difficult for him to attend a good school in India. 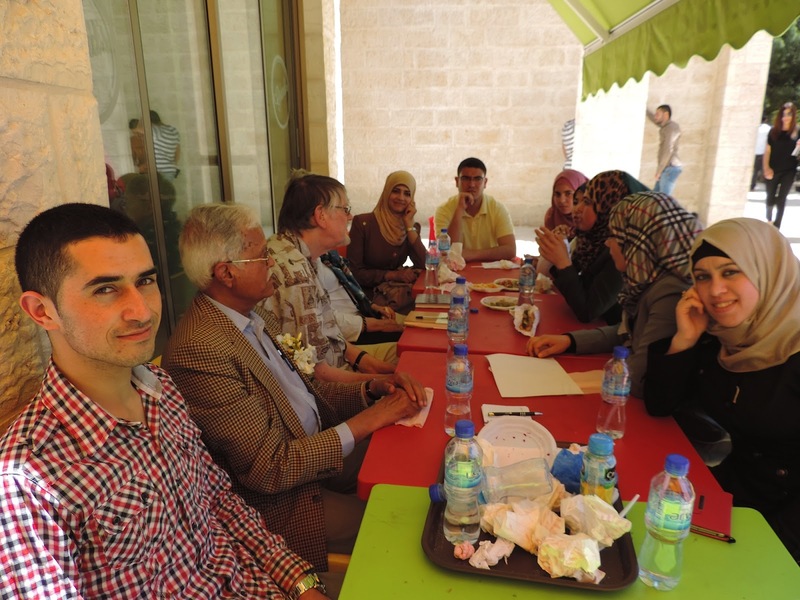 He wanted to provide a disadvantaged Palestinian student an opportunity that would otherwise not be possible. This scholarship will be available as long as the Friends Schools are in existence. 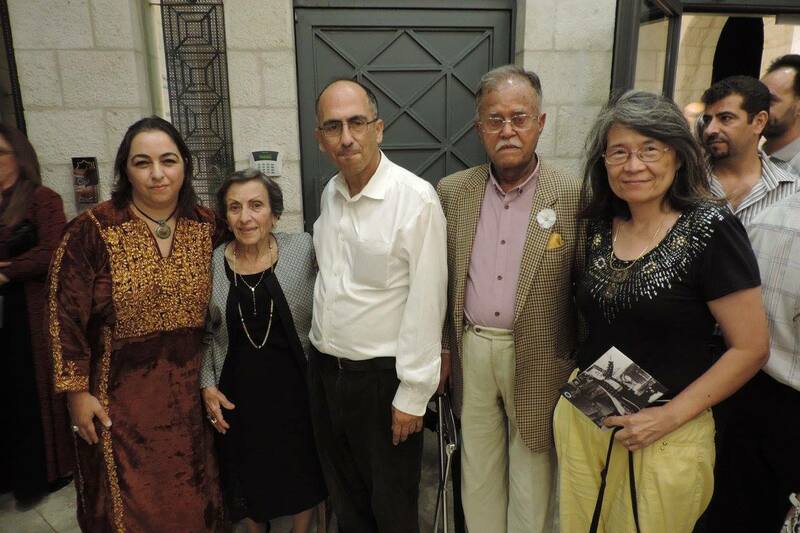 As you reminded us below, Qavi became a passionate advocate for the Palestinian cause. Bethlehem became his new home. 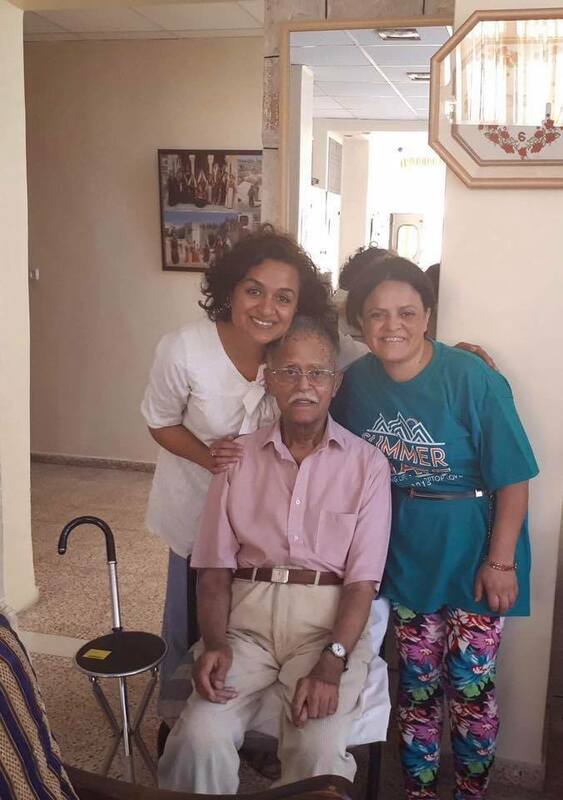 At 81 years, Qavi became a fixture in the non-violent solidarity movement and was spotted at many demonstrations and sit-ins. 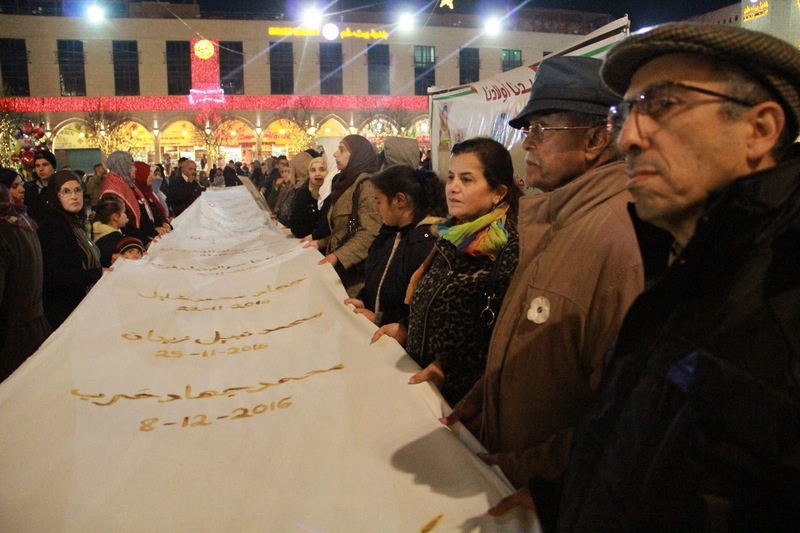 Qavi hardly ever missed a Meeting for Worship in Ramallah. He will be truly missed. Qavi is an inspiration and an example of a true light of peace and tranquility. Holding him and his family in the light. May his soul rest in peace. Thank you Professor Mazin for your kind words and making arrangements for his burial today. I am his youngest brother working for ICI and living in Pakistan. He spent his life on its own way. He is a role model for me. I am grateful to almighty Allah for his blessings to him that he made a lots of good friends like you in his life who are taking care of towards his last destiny. Heartfelt condolences on the demise of Qavi, a champion of the cause of the Palestinians. May his soul rest in peace. Thank you so much for letting me know. I have known this great man since 1976 in Sharjah, UAE. My condolences to all is friends in Palestine...Subhi Ali, M.D. Thanks Nadir for letting me know. I am shocked to hear this news. Qavi Sahib was such a fine gentleman. I stayed with him as a guest for a few weeks in 2013 and he was an amazingly nice host. Since then I used to correspond with him after every few months. He never mentioned being sick. Wonder what happened to him and how did he die so suddenly? He had once mentioned that some doctor told him he might have Parkinson's disease. But Qavi Sahib never believed that diagnosis. And he never talked about it again. Even if he did have Parkinson's disease, it must have been in early stages. He was on medication for some other health-related stuff but he never discussed his health issues and never mentioned being seriously sick. However, very shocked by his sudden death. He was such a fine gentleman. He read literature and politics. He was an activist and promoted the rights of Palestinians and other underprivileged and under-dogs. When I lived in his apartment as a guest, he used to volunteer once a week in a soup kitchen. He used to protest against the MQM for a longtime in front of Pakistan High Commission. He also told me that he was fond of going to the theatre. He came to Pakistan a few years ago and visited Islamabad for a short trip along with his brother from Karachi. Isa and I spent a day with him. That was when I saw him last. I am feeling extremely sad and shocked to hear the loss of this fine gentleman. Didi joins me in conveying our heartfelt sorrow for the sad news. May Qavi's soul rest in peace. We feel privileged to have met this true friend of the Palestinian people and benefactor of its science institutions. We hope to attend the planned memorial service when the time and venue are decided. Ohhhhh so sorry to hear that, I knew Qavi back in London I did not know he was in PM with Sahrour, he was always présent at events to do with Palestine, I am sure he was where he wanted to be at the end of his life. My heart is with you all. we are deeply saddened by the loss of Mr Qavi we were honored and blessed to have known him he was truly one of Alquds university supporters and was an amazing guides and mentor to our students through out the past years with his generosity many students who lack the financial ability was able to over come there situations and continue their education, we will never forget his kindness and he will always be remembered Please accept our most sincere condolences. I read with shock and sorrow of the death of one of life's true noble men. I have known Qavi for many years. We first met many years ago when both of us stood bail for men under control orders. We shared a passion for human rights and dignity. 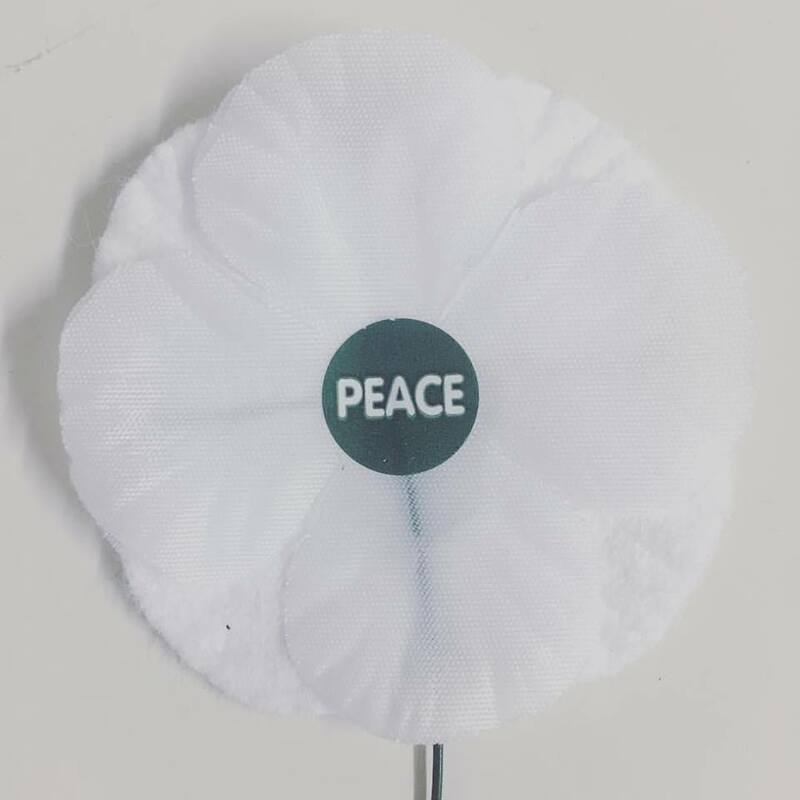 We worked on the issue of the men under control orders but mostly we met each other at meetings on Palestine, Qavi with his peace button hole and me as a Jewish supporter of Palestinian human rights. He was a great supporter of Jews for Justice for Palestine and he valued our commitment to the cause. It was always a joy to see meet up and share our thoughts. He was a man of special qualities and his passing leaves a void hard to fill. May he rest in peace in Bethlehem, in a place he loved and whose freedom was his constant quest. And may his memory be a blessing. we are sad at this news . may allah sbwt grant maghfarat . i had known him for many years . he was a good man , an honourable man . inna lillah wa inna alehai raje’oon . we pary for his maghfarat. I'm really sorry for the loss of a great man like Qavi. May his soul rest in peace. My sincere condolence to you and the family of your friend Qavi, as well as your colleagues at the Museum and to the people of Palestine. May his soul rest in peace. Inna Lillahi wa inallahi rajioon. Thank you for informing. We at The Citizens Foundation are equally sadden to hear the sudden news and are in touch with his family here. May Allah grant 'maghfirat' to our respected Qavi Sahib Aameen. My friend Salma Kasmani from Refugee rights Data Project tells me she's coming to Palestine with Camden Abu Dis friendship; I gave her your name (I expect they'll visit hope ok. It's good news that Cadfa are going. Thankyou lots for the bag, I use it all the time. Sorry for your loss , may his soul rest in peace ! RIP Qavi! I knew the much appreciated (and now much lamented) man when I was serving at Birzeit University. Is there an email address to which I could send condolences to his family? Please advise. Thank you for notifying us of this sad news. 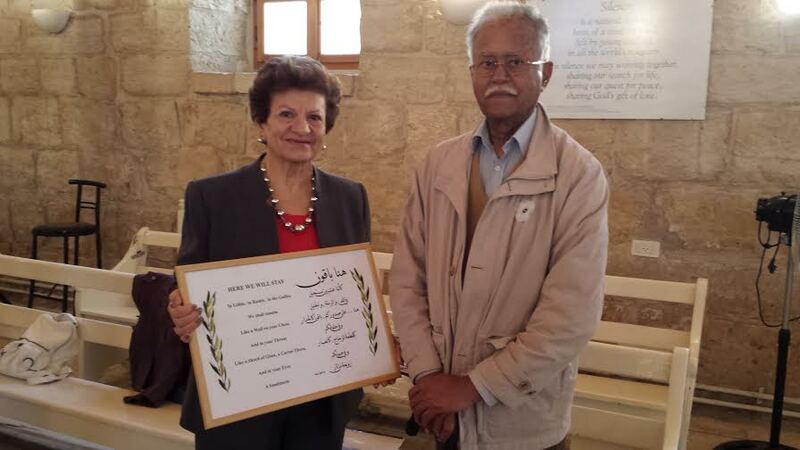 Mr Qavi was a long-time friend of Deir Yassin Remembered, a regular donor and attender of our commemorations. He was an activist of the finest sort and someone I came to hold in the highest regard. We shall be posting about this later in the day. I also knew the late Mr. Qavi. I would also appreciate it if anyone can provide me with his family email address. May his soul rest in peace. I also sent to the Advancement Office at Birzeit University to let them know of his passing away. I requested that the office published the condolences of BZU. Furthermore, I asked them to inform the beneficiary students of his scholarships about his passing away. I am so sorry to hear of Qavi's death. He was always so lucid not only on Palestine but on imperialism, Pakistan, and the global politics of Wahhabism. May he rest in peace and his legacy flourish. Appreciate your conveying the news , sad as it was. Qavi was a very dear friend for over forty years and I cannot but acknowledge how dear his person and his work for the cause he truly believed meant to me. May he rest in eternal peace and may the memory of his work and efforts be with us as long as we live. Thank you for letting me know Mr. Qumsiyeh. We will all miss him tremendously. Inna llilah e wa inna ilahe rajaoon. Thank you for informing us of the passing away of a dear friend. Qavi Saheb was a man of great humanitarian qualities and strength of character. He will be greatly missed. Nermeen and Ahmed Al Midfa. Thanks Nadir for sharing this very sad news with us. I am deeply saddened and shocked to hear about Mr. Qavi's demise. He was an extremely nice human being- an activist, friend of the oppressed and a well read man. A very generous host, he delighted in inviting his friends to his home and serving them delicious home cooked food that he used to prepare himself; haleem being his signature dish. I felt privileged to be part of his circle of friends whom he regularly invited to his place. He once proudly told me that he had inherited his housekeeping and culinary skills from his mother- who was from Delhi. After partition, he moved to Pakistan but then settled in the 1960s in East Pakistan. After 1971, he came back to Pakistan for a short while but moved to Sharjah where he took up furniture retailing and distribution business. In 1980s, he moved to London; he was again into furniture retail business in London for nearly two decades and took up activism after retirement. His main areas of interest were Palestine, Muslim World and the Muslim community in UK. I met him for the first time during anti-MQM protest when we were part of May 12 group in London. Apart from meeting him at his place, I have watched theatre plays and attended talks with him many times. He had a very impressive library, reflecting his deep interest in politics and literature, but he decided to dispose it off in 2012 when he moved to Palestine. I had moved out of London to the Middle East in 2011 but was visiting London in 2012 when he told me about his plans to spend more time in Palestine. He offered me his Urdu section of the library and was very keen to give me his excellent collection of Urdu books- numbering perhaps over 100 and containing some very rare books and periodicals including copies of the famous Shama magazine, which was published from Delhi in pre-partition days. I was extremely tempted to accept this kind and exceptional offer but had no proper place to keep this vast collection in London. Unfortunately, and to my eternal regret, I had to say no to him. I last met him during my 2014 visit to London. He was suffering from severe arthritis in those days; both of us participated together in anti-Israel protest regarding atrocities in Gaza and I noticed he was carrying a folding chair with him which he needed quite often during the long protest walk upto Israeli Embassy. a very interesting book on Iran during that last meeting. I was in touch with him through email over the years; our last email correspondence was in May this year when I had shared my published article "Corruption and its discontents" with him and he responded to my email. He was an old-school gentleman and his most impressive characteristic was his humane nature which shone through his thoughts and deeds. May Allah bless his soul and grant him a high station in Jannah. Rest in Peace, Qavi Sahib- you were a wonderful person and this world is a poorer place without you; feel privileged to have known you since my London days- you are definitely someone worth remembering many years down the road. Very sorry to hear this news. May he rest in peace. Khuda oon ko janat nasib kerayn. Agree with what you've all said.They don't make gentlemen like Qavi Sahib any more. Nadir: Thank you for letting us know. Thanks for the email and I'm really sorry to hear about Qavi. He was a great man. 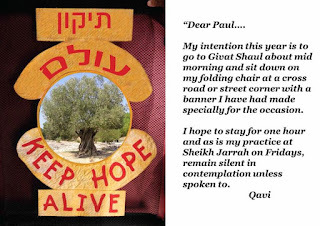 Like Qavi, I hope one day we all will return to our home in Palestine - Jerusalem will always call for me. Would you happen to have a current email address or phone number for his daughter Tara? I used to work with Tara (who introduced me to her father) but I've since lost her contact details and would like to get in touch to give her my condolences. And as always, thank you for keeping up the fight for Palestine and the great work overall! Very sorry to hear this. May Allah grant him a place in heaven and may his soul rest in peace. Thank you for sending the information about our dear friend Qavi. I am deeply moved to hear of his death and I shall miss him so much. Though seeing him rarely, we kept in touch sharing his beliefs but lacking his courage. He has made a great impression on our lives. We were always aware of his presence here in the UK and in Palestine gently calling and working for Peace and Human Rights. We share in your prayers today as we mourn and give thanks for his life. I share with you a deep sorrow at the loss of Qavi, our dear friend. In so many subtle ways he took giant steps to advance human rights. His trust and ability to connect and understand people, his abiding spirituality and, I believe among his finest gifts, his ability to meet and understand people, to listen and befriend strangers and encourage others by example. So many memories - seemingly small yet profound fill my heart and celebrate his life. He is missed but never forgotten. RIP, Qavi Bhai. A very special person he was and the world today is poorer without him. 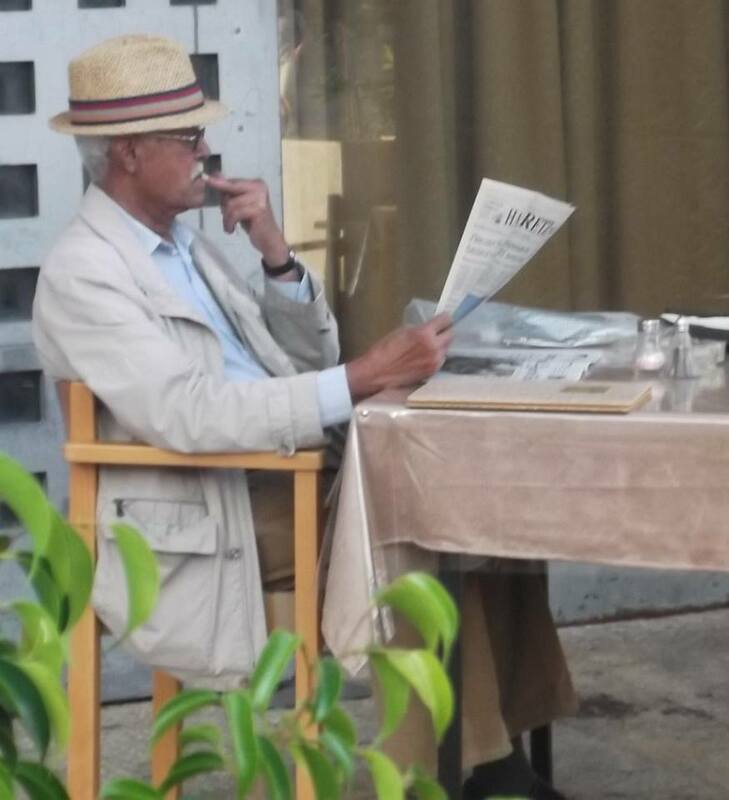 He used to send me special articles and papers on the subjects of our mutual interests such as Muslims in South Asia, Pakistani 'satrap' generals, violence in Palestine and other intellectual outpourings gleamed from a wide variety of journals and magazines that I would have otherwise missed. We used to meet in London at the seminars and such other literary gatherings and then every year since 2009, we would meet at the Winter gathering in Salisbury. This last weekend in November at Sarum College has been happening quite regularly and involves scholars, activists and people of all kinds of interests including arts and letters. I would always sit with Qavi Bhai and would often detect his frustration with the way things had been happening among Muslims. His beautiful Urdu, his unique sense of humour and biting criticism of communities and polities I will never forget. Nicely dressed, always alert and with a kind smile spreading underneath those observant eyes, Qavi had no time for idiots and self-inflicted illiterates. I know his work in Palestine was more than sheer wordsmithery and he devoted his energy and resources to help Palestinians in the Occupied Territories. He felt and shared their pain and demonstrated against the Zionists by taking all kinds of risks. He kindled hope, resistance and courage amongst the struggling masses and thus was not a typical detached intellectual but a devoted philanthropist. These few words can never offer a proper and sufficient enough tribute to this noble soul. We miss you, Qavi Bhai but do hope that your prayers and blessings will encourage some of us to carry on with your deeds. I am saddened to hear the passing of my dear friend Qavi whom I know through Blackheath Quaker Meeting House in London. I also know him in person how wonderful he had been. I have also informed our Quaker Meeting House in Blackheath, London today. I offer my sincere condolences to his family and his group. So sad. So sorry not to have been able to say goodbye. So sorry not to be there with you as you said goodbye and put his body to rest. Remember that I met Qavi in 2002 when we both, and his 18 year old daughter, were with ISM in Nablus. 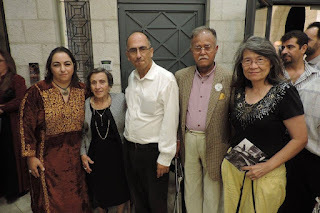 We re-united in Beit Sahour, probably through you, several years ago. I am sure Qavi arranged to die in Palestine, where his heart was. 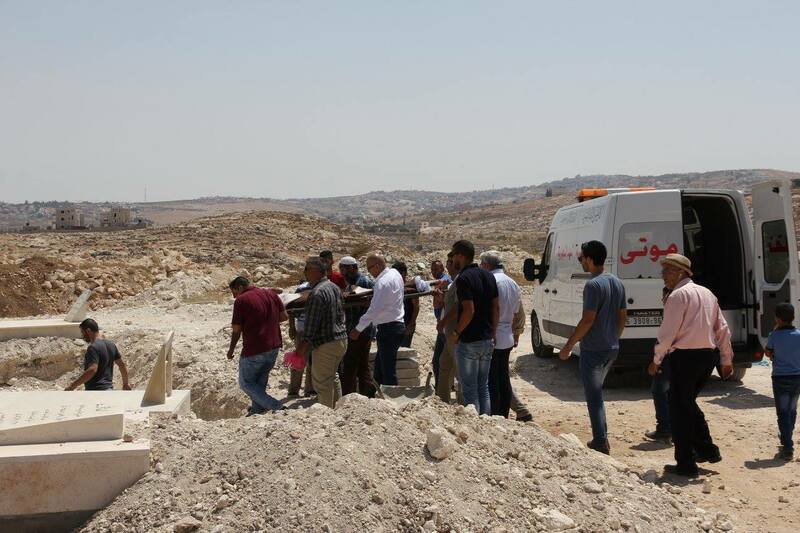 I hope arranging burial for a "foreigner" isn't too complicated. Thank you for your email, which I opened earlier today. I had understood that time was indeed running out for Qavi - nevertheless - it was still a great shock to learn from family last night, - that his end had come. I last saw Qavi in 2016 . I am pleased to have known him. He was a very special person and I know that he will be greatly missed by you all, as well as family. It is good that he was where he wished to be. Indeed Qavi, may you rest in peace. I took a look at your Facebook page - that photograph - was just, so, Qavi. I am so sorry to hear about Qavi sahab. I met him during our May 12 protest against MQM in London. After my return to Pakistan we kept in contact exchanging news and views on issues that were very dear to him. I lost touch with him around 2013 that was perhaps around the time he was shifting to Palestine. A great loss. May his soul rest in eternal peace. This is a saddening loss. Wish I could be there to pay my respect to Mr. Qavi. I will remember him as a gentleman, always polite and kind in giving his advice. Hard to find one like Mr. Qavi at these times. He obliges the lucky many who met him to follow his example. I'm so sorry to hear of the loss of Qavi, and send all my sympathy and condolences to his family, you both, and all his loved ones. I saw him last at the Muslim Institute's Winter Gathering, where we shared a laugh and some memories of Palestine. He looked well and happy, in the thick of things as he loved to be. Thanks to him I met Mordechai Vanunu, and have fond memories of Qavi holding court at a cafe table outside the Educational Bookshop that evening, clearly beloved by a young female student of English literature he was mentoring. How sad that he is no longer with us, bringing his delightful energy to all the busy intersections of progressive politics and warm social congress. I join you in giving thanks for his inspirational life, and with gratitude to you for introducing us, I hope I can live to as ripe an age, and share of myself as generously all the years that I am given. If it would bring them any comfort, please feel free to share these memories with his family; alternatively I will await the obituary and a possible online condolences book. To Mazin Qumsiyeh With thanks for your message. We do not grudge your friend his rest, he has at last become free, safe and immortal, Qavi has not lost the light of day but has obtained a more enduring light. Our Aborigines tell us: "we are all visitors to this time, this place - we are just passing through. Our purpose here is to observe, to learn, to grow, to love & then we return home"
We join you in celebrating an extraordinary life which is making our souls blossom. With love from Monika Smith - Quakers in Wahroonga, Australia. المرحوم السيد كافي شاركنا افراحنا واترحنا ...ندواتنا ومظاهراتنا.... وقفاتنا الاحتجاحيه ومعارضنا الفنيه، مثقف وعميق وملم بالكثير، ثاقب الرؤيه... متامل وايجابي وكريم الاخلاق والعطاء بلا حدود! كل هذه الصفات ولن تنصفه وكم بالاحرى عندما يكون هذا الانسان عظيم حنون وصادق بكل ما تعنيه الكلمه من معنى ! اعتقد انكم تشوقتم لتعرفوا من هو وبما تكمن عظمته وما سبب وجوده في فلسطين ، كونه ليس فلسطينيا !!! ثرى فلسطين تعطر بك ولن نخذلك ونحن على العهد حتى الحريه ! في عام 1948م، اختبر محمد عبد القوي (كافي) نكبته الخاصة، ولد في دلهي لأبوين مسلمين، وكان جزءا من أكبر عملية تبادل/تطهير سكاني بعد الحرب العالمية الثانية، على أسس دينية بين الباكستان والهند، ففقد وطنه. يتناسى الكثيرون ان إسرائيل والباكستان أسستا على أسس دينية في نفس العام. قرأ القصيدة بالانجليزية، ونشط بنقشها على ألواح السيراميك وتوزيعها على الجامعات ومؤسسات الشباب. أراد أن يموت في فلسطين، وكان يذهب كل ثلاثة أشهر إلى لندن، لتجديد الفيزا ويعود بسرعة حتى لا يموت الا في فلسطين. سأقول بان كافي فائق الثقافة، دعم مشروعي الكتابي بنبل نادر، وموّل ثمن نسخ من كتبي كان يوزعها بنفسه على طلبة الجامعات. سأذكر دائما حنوه، وشجاعة قلبه، وإخلاصه، ودعواته على العشاء كمضياف في مكان إقامته أو في منازل الأصدقاء، حيث يتولى الطبخ مستعينا بوصفته السرية الخاصة من البهارات. كان كافي مؤمنا بالقدير، ولكنه لم يؤمن بالطقوس، اعتنى به في أيامه الأخيرة، بحب نادر مسيحي وبوذية بشكل أساسي. نادرون من سيعيشون معي حتى نهاية العمر، وكافي من بينهم. Many readers asked me (also as a US citizen) to comment in this blog on what is going on in race relations in the USA. I will briefly say that the politicians who criticize Trump (both republicans and democrats) are hypocritical. These same politicians who criticize Trump and his racist minions never challenged hate directed at Muslims and Arabs in general. The white nationalists and supremacists who are calling for ethnic cleansing and for hate are no different than the Zionists that they adore and fund and who do far more violence and atrocities. The hypocrisy in the US is more blatant and sickening than the thugs that caused the mayhem in Charlottesville. But what worries us more is that the distractions can allow us to slide more into a nuclear world war (please watch news related to Iran and North Korea). There are also credible reports of Zionist thugs infiltrating both camps (‘left’ and ‘right’) to entice violence. I remember how Zionists tried to infiltrate one of our demonstrations in Connecticut posing as neo-Nazis to incite violence and mayhem. And we all know now how FBI agents infiltrated civil rights groups doing the same things in the 1960s. If US citizens do not wake-up to where the real danger comes from (the elites profiting from all of this), the society will be torn apart by petty hatreds that only serve the policies of ‘divide and conquer’ that are being implemented in Syria, Yemen, and Iraq. Arabs in those countries are waking up to that but after much destruction. I hope fellow US citizens wake up to this early on. The daughter of US ‘Ambassador’ to Israel (the “Jewish State”) has moved here to Palestine as a new colonial settler. Like any Jew in the world she and her father were considered nationals of the state even though born in the US with no connection to this land other than religious [mythologies]. They can become citizens upon demand. Colonial Zionists call those new colonists ‘olim’ referring to ‘those rising up’ as if being a Jew in Poland or America is being in the gutters. For committed Zionists moving here it this is just a formality because their betrayal of their own countries and allegiance to a foreign power is their trademark. Just observe the rhetoric of those in the US who support the billions of tax-payer money going to support the largest terrorist organization in the world called the Israeli army. Watch their rhetoric on Iran! Friedman and his daughter supported and will continue to support ethnic cleansing and crimes against humanity and endless wars. The question for Jews around the world: until when will you allow Zionists to tar your community and your religion? When is the price of racism/‘Jewish nationalism’ considered too high? (today 7 million of us Palestinians are refugees or displaced people thanks to Zionists like Friedman and his daughter). The questions for all US citizens: how will you challenge ALL racism and bigotry? What will you do to work for justice, human rights, and equality? How would you justify working against ‘white nationalism’ or ‘pan-Islamic nationalism’ (ISIS) but not against ‘Jewish nationalism’?